If you are active duty military, and are stationed outside of Wisconsin, your driver's license is one less thing for you to have to concern yourself about. As long as you are active duty military stationed outside of Wisconsin and have a Wisconsin driver's license, the license will not expire. You have the choice of either conducting your driver's license renewal through the mail or simply having the Wisconsin Division of Motor Vehicles (DMV) put a note on your driving record that your license will not expire as long as you are active duty stationed outside the state. Fill out the Wisconsin Driver License (DL) Application (Form MV3001) which is available online using the free Adobe Reader. Have a doctor sign a Certificate of Vision Exam (Form MV3030V). $34 to renew for 8 years. An additional $5 late fee if you are renewing after the expiration date. Make sure that the statement clearly notes that you are on active duty in the military. You may have the statement delivered to the DMV by a friend or relative, or you may fax it to (608) 261-8201. If you do not have access to a fax machine, you may mail the statement to the same address as above. 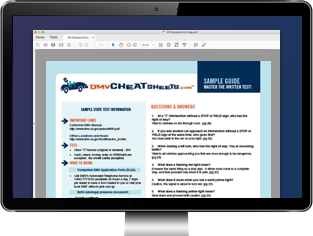 Once the DMV receives the statement, a note will be placed on your file stating that your license will expire the earlier of 30 days after your return to Wisconsin, or 90 days after your discharge from military service. You will receive a confirmation copy of this action at the temporary mailing address as indicate on your statement. Once you are back in Wisconsin, you'll have 30 days to get to your local DMV service center to complete a new Wisconsin Driver License (DL) Application (MV3001) to renew your driver's license. You will also need proof of your identity and a current vision screening certification. The Wisconsin DMV's mandatory vision exam form for Class D, Class M, OR commercial driver's license. Must be completed by a medical professional.